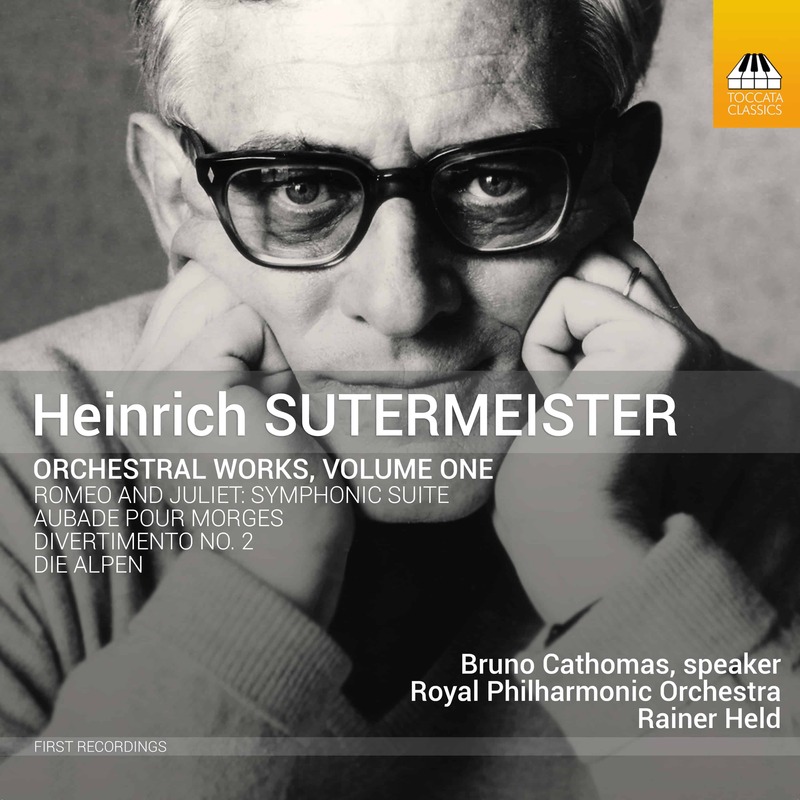 Heinrich Sutermeister (1910–95) belongs to the generation of Swiss composers after Bloch, Honegger, Martin and Schoeck. His operatic version of Romeo and Juliet soon spread his reputation far afield, and conductors as prominent as Böhm, Karajan and Sawallisch championed his works. Although his star has waned in the quarter-century since his death, the four orchestral works recorded here – ranging from the dramatic essay he drew from that first Shakespearean operatic success, via the easy-going charm of two lighter suites, to his deeply felt response to the Swiss landscape – bring a salutary reminder of why his music appeals so directly to its audiences.